Before I jump into today's post about setting writing goals for 2015, I'd like to wish you all a very Happy New Year! I hope you all enjoyed the Holidays and are now feeling super charged to make 2015 your best year yet. 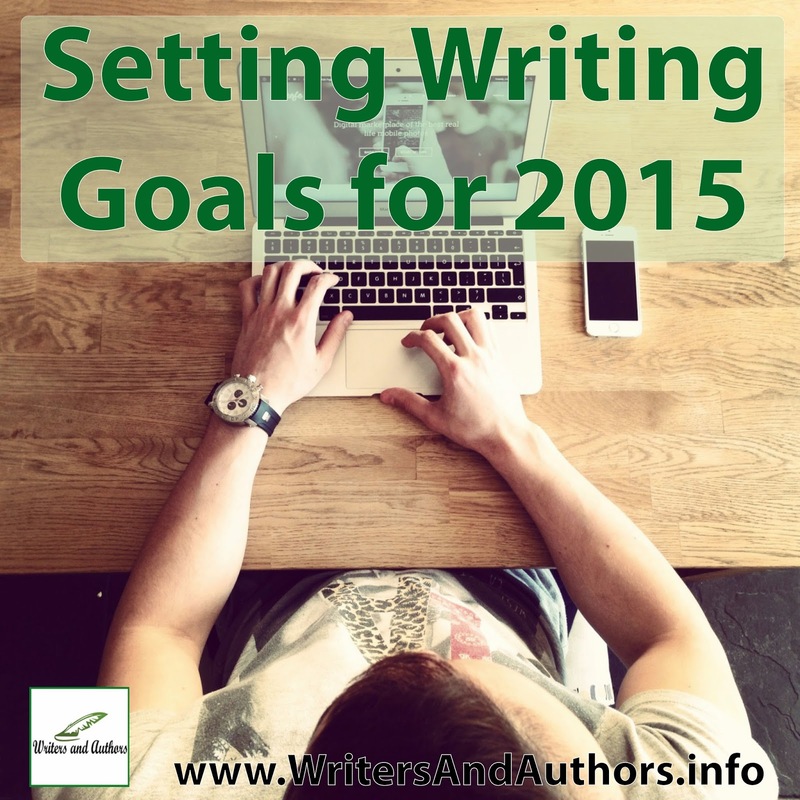 Why should you set writing goals? The answer here is simple. You should set writing goals because they help you focus on what you want to accomplish during the year. Just the simple act of thinking about the goals you want to reach can be powerful. By writing them down, even more so. This obviously depends on what you want to achieve. For most writers goals like "write an international best seller" will spring to mind. That's great! Dream big and go for it! A goal like that is a great thing to reach for but you'll need to break it down a bit before you can reach that point. More realistic goals would be things like "write at least 1000 words a day" or "write for an hour a day, every day". Writing goals can also include marketing elements. Things like "Write at least 1 guest post per month" would fit into this category. "Write regular blog posts for my author website" would also be listed here. All the non-book writing stuff. Jo, I'm working on this very thing all weekend. I'll come back to you with them. Do you want to share yours with me? We could PM them. Want to be accountability partners for some part of our goals? Hugs and Blessings. I actually did a blog post with some of my 2015 goals listed on it on my author website at http://www.jolinsdell.com/2015/01/my-2015-goals.html. Happy to buddy up this year to make sure we both tick them all off our lists in 2015.